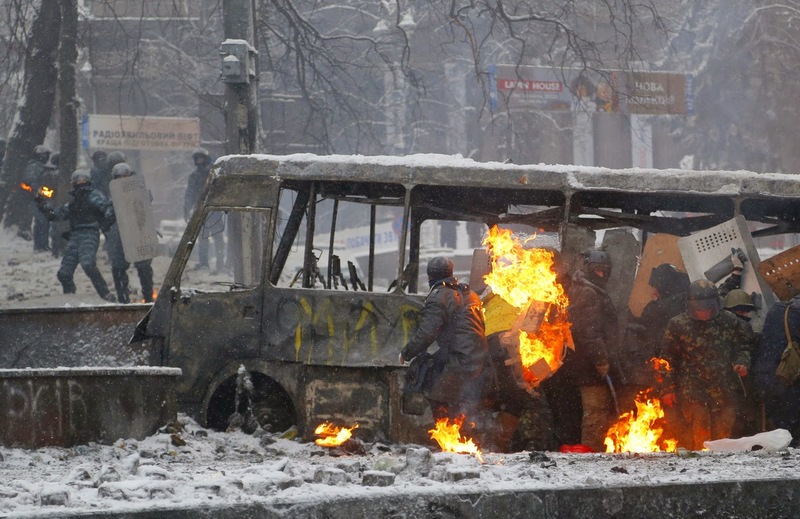 In this blog spot on the subject of Art Direction I'll be writing about the photos of Ukraine Riots taken last month. 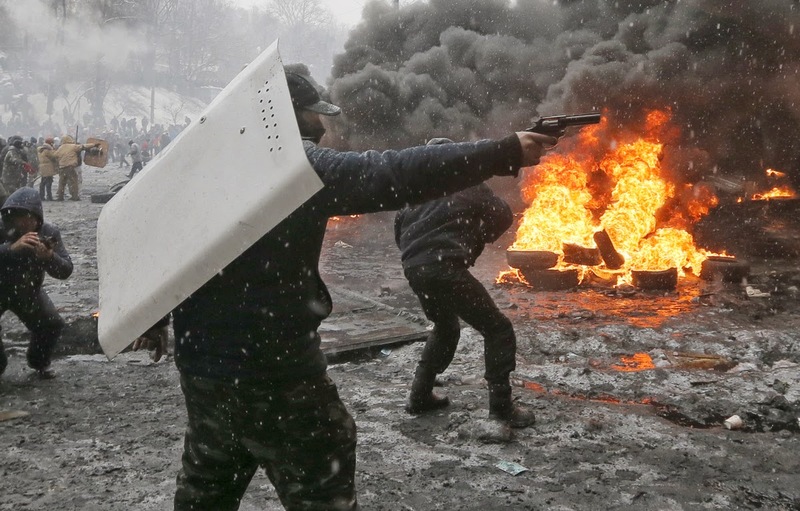 Last month anti-government protesters stormed the capital of Ukraine and fell into conflict with the police and other armed forces resulting in death and devastation. 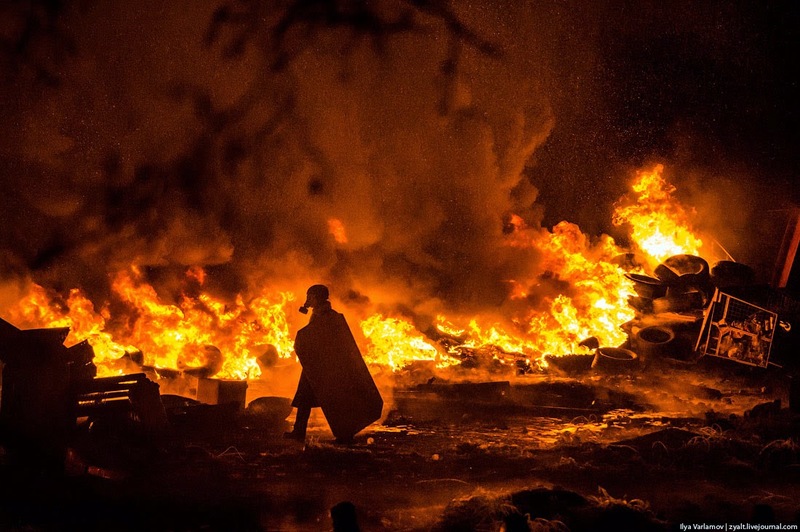 In this blog I'll be focusing on photos taken during the riots showing the conflict at it's centre and describing what makes them really interesting. Taking pictures in really tense situations is difficult, being in a place which is practically a warzone means a person would have to be quick to get the shot they're after so some little tricks are used in these photos to get a really good image while still keeping themselves alive. To create an effective composition in the circumstances the 'Rule Of Thirds' is used. Rule of thirds can be displayed on most camera viewfinders and makes identifying a focal point quicker and easier. 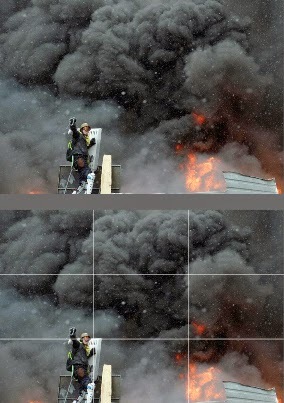 The composition in the following image also uses rule of third to an extent and a strong focal point created with the fire, it guides the eye around the image from the left fire of the Molotov to the centre focal point. There is also strong depth in this image which is created by the cold, foggy and depth of field effect of the background compared to the sharpness and warmth of the foreground. The colours in these image are just enhanced, since they are photos they try and capture the colour accurately. The colours though still convey a mood despite being a photo; the unsaturated bluey-grey of the background with two flames in the center just popping from the rest of the image. 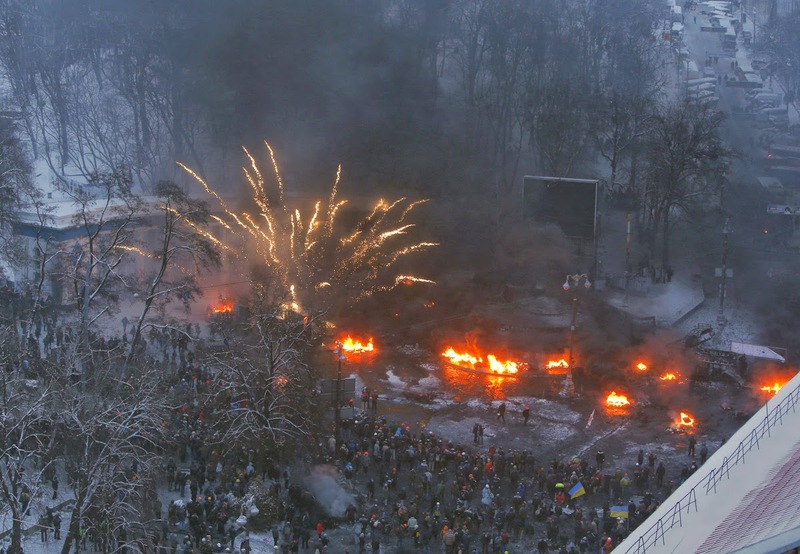 This connotes that the red-hot fire could represent to tension and anger in the capital. In this next image the colours are almost entirely hot but the image still has a great contrast. It is extremely moody and the colours support that, it gives the image an appearance that is almost hell-like. In this image a clear difference in look can be seen between the protesters and the law forces. The police can be seen uniform and very focused; they are all looking in one direction and have a collective look, this demonstrates the authority and power the police force have. On the other hand, the protesters are more chaotic in their efforts. 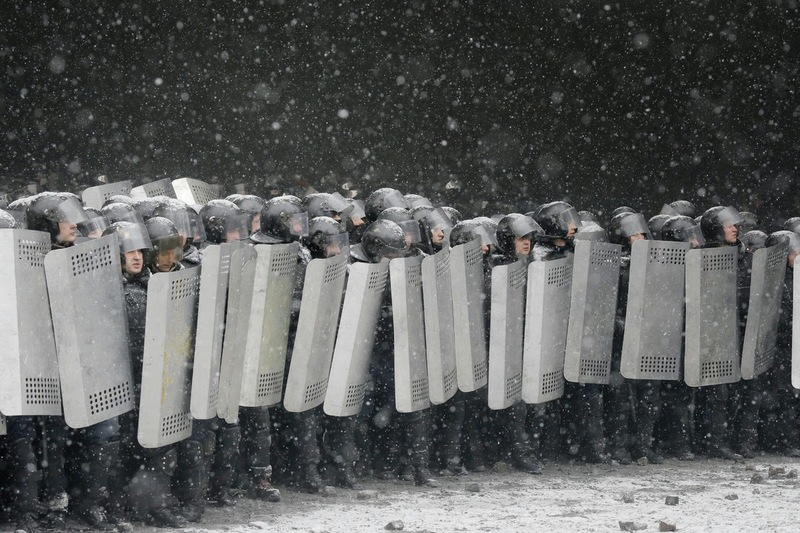 They wield improvised weaponry and shields hard hats and baseball bats, they have in general a more random appearance. 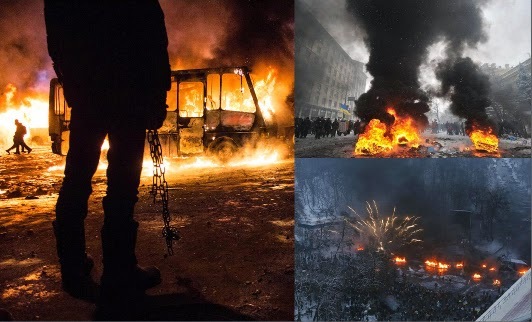 The forms in the photos demonstrates Chaos vs Order and this is shown through the destruction of the environment to the garb of the protesters and police. How can this art direction be utilised in games? On next generation hardware a lot more is possible because of the increase in memory. 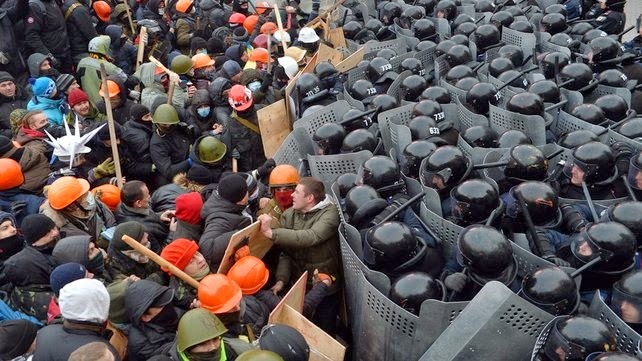 More realistic sized crowds can be achieved which means scenes akin to the riots are feasible, huge numbers of NPCs can be shown on screen with crowd based AI and with no slow down. 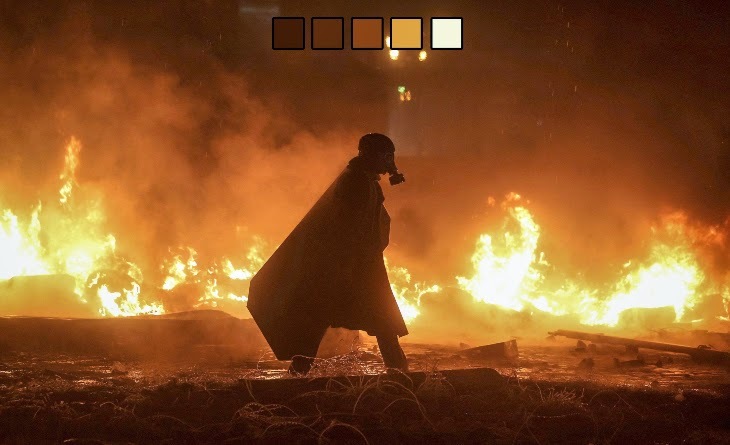 Another area that could be pushed is particle effects; Smoke, Fire, Ash and Snow could be more dynamic and create more of an atmosphere, with the particles reacting to the changes caused in the battle. I find these images great and I find there is overwhelming potential for adapting the art direction for use in a game world, I always find that adapting ideas from reality yield the best concepts and this serves as source of inspiration while also opening my eyes to current affairs. 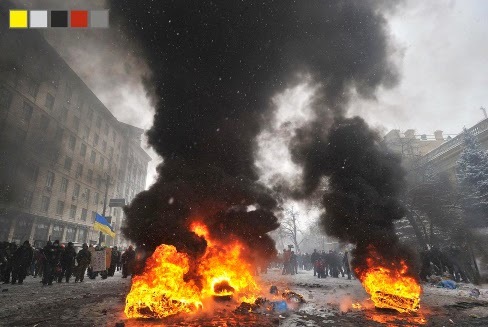 I urge readers the check out the news on what is happening in the Ukraine at the moment if you haven't already; there is some fascinating stories and it looks like it could be going on for a while yet as Russia has got involved and has sent in troops to the Ukrainian city of Crimea. I may do more examinations of art direction in the future, as well as stories I find interesting as source of inspiration so I hope you look forward to those.